I’m so glad you are here to read my 2019 Guide to Making Money Online for Beginners. 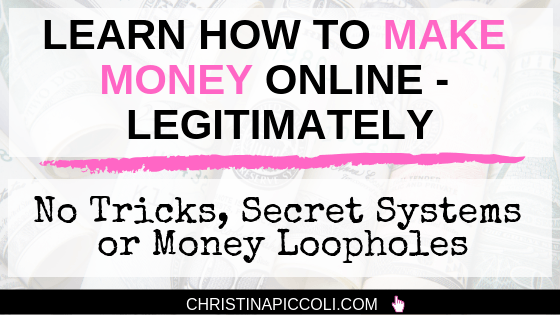 I was originally going to call it the Secrets of Making Money Online to make it sound juicier. But you know what? There aren’t any secrets. Instead, there are proven step-by-step formulas that WORK. Are you ready to find out how to start making money online? Let’s do this thing. First, let me give you a little bit of my story so you can get to know me better. 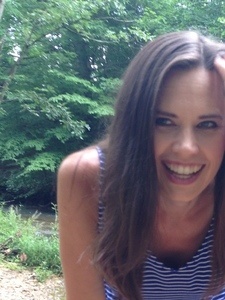 I grew up in small-town Ohio and now live with my husband, 2 kids and 3 cats and 1 dog outside of Philly. (E-A-G-L-E-S Eagles!) I met my husband online on Prodigy (if you’re old enough to remember that) in 1992. We got married 10 years later in 2002. I have always had an interest in selling things and making money. I think I bought all the Tony Robbins, real estate sales, making money in stock marketing courses and books I could find. But none of those things ever felt quite right. I was introduced to affiliate marketing way back in the day. I used to code my own websites by hand in HTML. I thought it was fun at the time, but I’m glad we don’t have to do THAT anymore! You have it easy, trust me! 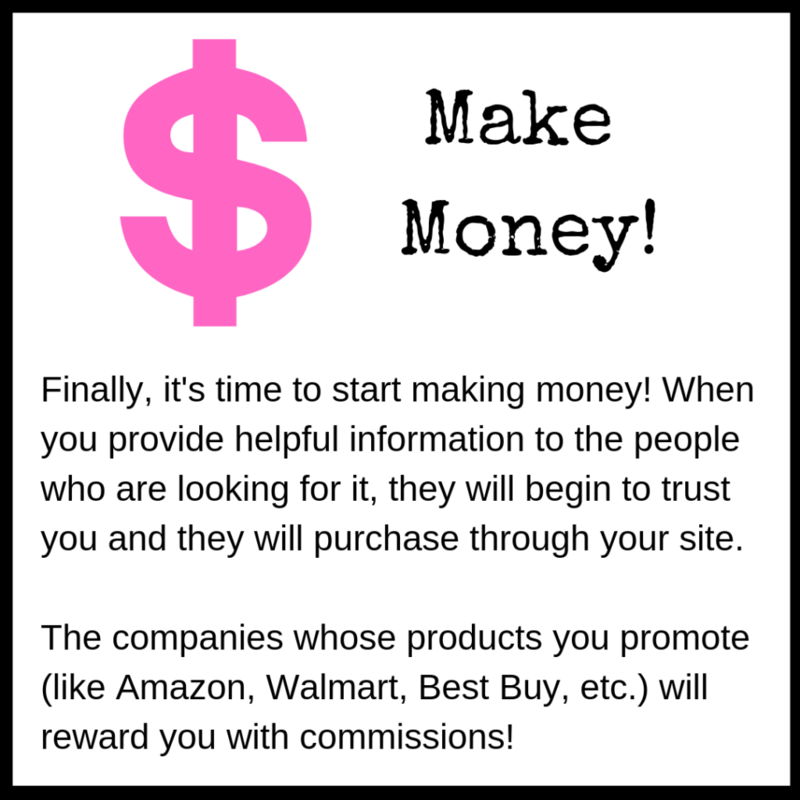 I went back and forth with affiliate marketing until I finally decided that this is RIGHT. There are too many benefits of this business that it just makes sense. I became a full-time affiliate marketer in the summer of 2018. Affiliate marketing is full of fun, excitement, engagement and creativity. But it’s also work. You won’t get rich overnight, but if you put in the time and effort, you will far exceed your expectations. And it will be extremely satisfying. I wanted to create a guide that can help you get started on the right foot. I see so many people start down this exciting path, thinking that they’re going to write a couple of articles and then they’ll be rich overnight. I blame the scam marketers out there for this. They promise so much and give you so little. It does take effort to get this business going, but it’s worth it. Not only can you make plenty of money (there’s really no limit to how much), but you get to be creative, you get to write about things you love, and you get to help people find answers and solve problems. I see people start excitedly and then they give up right away because they didn’t get the proper training and they’re just flailing about wildly with their website. They get frustrated, impatient and then they quit. If you’re reading this guide, then I know that’s not you. I know you WANT to start off on the right foot. You want to do things the correct way so that you can succeed. I want you to get started in the same way that I did. I learned everything I know from a training platform. The reason for this guide is that I want YOU to do it too. This is a DREAM job that ANYONE can do. As long as you get started in the right way. Let me show you how to start getting yourself set up. I don’t have any Lamborghinis or fancy houses to show you. As mentioned, I’m a mom of two. I drive a Nissan Pathfinder and I live in a townhouse. I am an affiliate marketer because it gives me the flexibility to be home for my kids when they need me. I can run them to their activities without having to ask permission to leave early. I take vacations when it’s right for me, and not based off of someone else’s schedule. I am an affiliate marketer because I hate being bored. I don’t know about you, but I can sit in a cubicle and stare at a gray wall all day long. I am an affiliate marketer because I can work outside on my deck on sunny days. I can take walks in between writing. I can eat when I want and not be on someone else’s schedule. So, no, I don’t have any fancy Lambos. (But, hey, if that’s your thing then go for it. I ain’t judgin’!) I am here for the freedom. I am here so that I can work in a fun and engaging way, help people get their dreams started AND be here for my family. But it does not happen overnight. I really want you to set your expectations. You may be tempted by all those programs that say you can make $1k a day within a week. Don’t stray because you’ll just be wasting your time and your money and end up starting over again (assuming that you don’t get so discouraged that you just quit). Trust me. I’ve been there. Instead, let me walk you through how to do this the right way. And then put your blinders on and focus on making one really great website. (Don’t freak out about that. It’s super easy. I’ll show you in a bit.) If you do that, and you give it some time, you WILL succeed. All those other programs are just distractions. They will lead you down the wrong path. So, how do we get you going in the right way? Let’s talk about it. Let me take you through the process of how this all works real quick. You can see how this is truly a win for all parties. Companies that have the products get more sales because regular people like us are promoting them. People who are searching for these products get help to determine if the products are good for them based on your content. 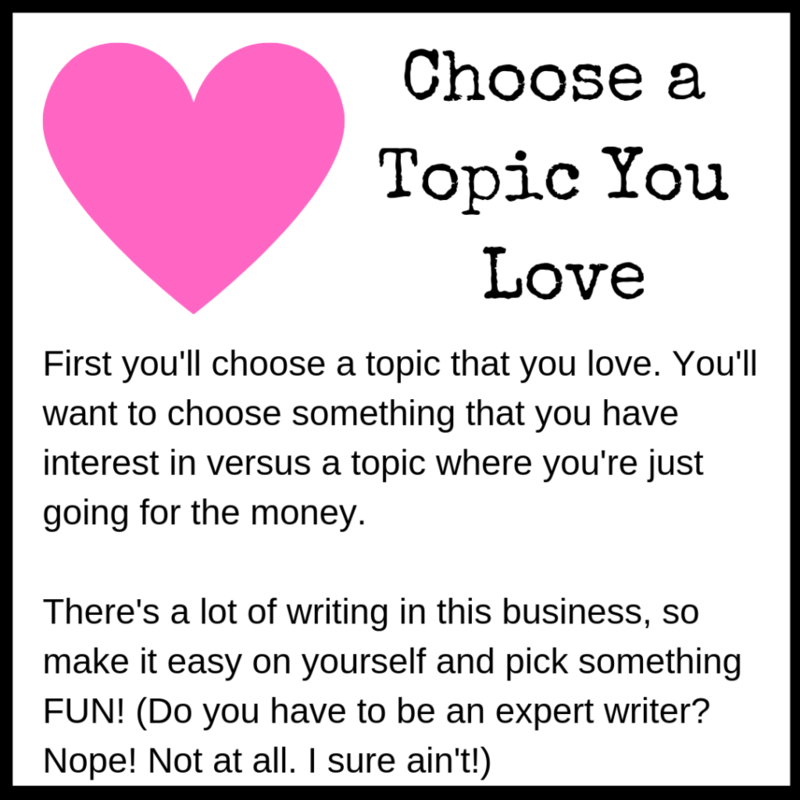 You get commissions for writing about something that you enjoy! As you can see above, the process of affiliate marketing is pretty simple. The BEST part is that there is no need to chase sales! The sales come to YOU when you provide a solution to someone’s problem or an answer to their question. I am an introvert, which means I don’t speak very well in public. Funny, but true! Me trying to talk people into buying something just doesn’t work! But writing about the benefits and then having those people come to ME works out very well. How do people find us in affiliate marketing? Don’t worry, it’s something that you’ll learn all about in your training! There is so much opportunity to make money online through affiliate marketing. Why? Because billions of people are online every day. And what are those billions of people doing? Besides watching videos of puppies and kittens, they are searching for answers to questions. Have you ever typed a question into Google? Just the other day I typed in “how long to boil corn”. I had an answer in mere seconds (about 10 minutes in case you’re wondering). Once you know what people are searching for around your topic, you can be one of the helpful answers that they’re searching for. Because there are billions of people online, that means there are billions and billions and billions of things that they’re looking for. The opportunities are almost limitless. This is why you want to have a website – one that is built properly. Because people will come to YOU. And you can add in products and services that can help them. Then you will make commissions on those. Do you see the incredible income potential here? Let Me Guess. You Don’t Know How to Make a Website? It’s OK! Don’t freak out. The training will teach you absolutely everything, step-by-step. You can have a website up and running in a matter of minutes. And no, you absolutely don’t have to know how to code a thing. Phew! I did that back in the day, and let me tell you, it’s SO much easier now. And everything else you need to have a successful website! We’ll talk about this a little more later. Just know that you will be taken step-by-step through the entire process. You’ll have action items to complete as you move through the lessons so you’ll actually be creating your website at the same time as you are moving through the training. Are You Worried You Can’t Do This? Don’t be! ANYONE can do this. This is another thing I love about affiliate marketing. Absolutely anyone can do it. It doesn’t matter what background you have, how you grew up, what color your skin is or how old you are. You. Can. Do. This. Affiliate marketing does not discriminate. Everyone starts at ground zero. When I first started, I didn’t know a THING. This is where the training will help you. (I didn’t even have this training back in the HTML coding days, so you’re already starting way ahead of me.) It’s like someone is holding your hand through every step of the process. It’ll all be so much easier than you thought! You know this place is legit because I could have left and stayed away forever. And I would have if it wasn’t a good place. In fact, my goal is to keep you away from all those other places that will just take your money and run. Because I don’t want you to waste your money, and I don’t want you to waste your time. Let’s go into even more detail about what’s provided at Wealthy Affiliate. You can create your free account now so you can follow along. Don’t worry – there’s no credit card required. Wealthy Affiliate is not all about tricking people into purchasing. They do things the RIGHT way. In fact, your membership is a free Starter Membership. Not a free trial. This means you can stay a free member as long as you wish. Cool, right? There is a LOT going on in Wealthy Affiliate, but I’ll just take you through some basic things that will help you get started. Here is where you’ll start. You’ll go through the Online Entrepreneur Certification Course and go through all 5 Levels. Each Level has 10 lessons with action items included within each one. 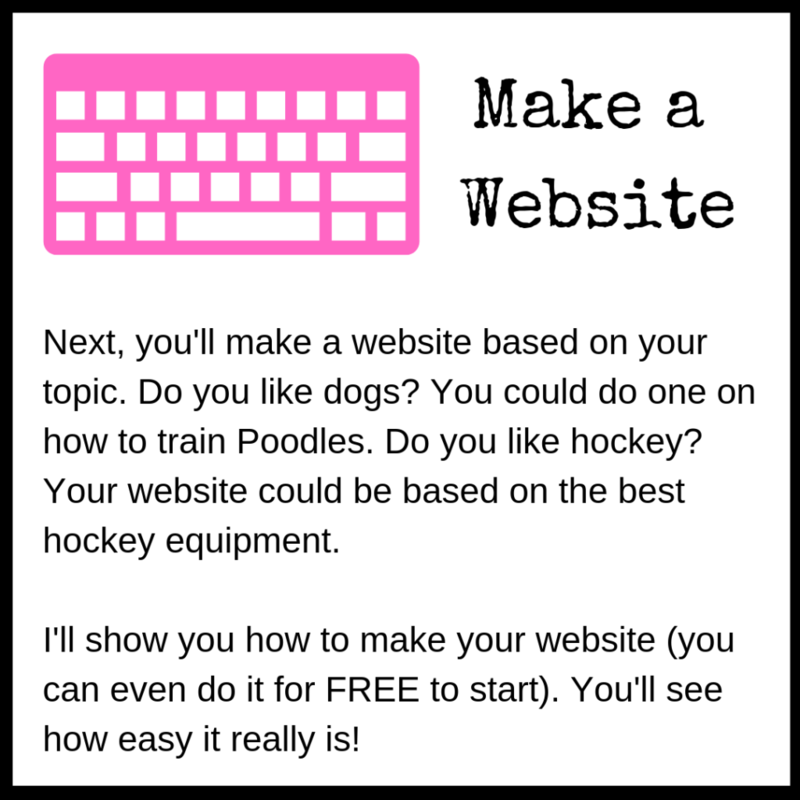 You’ll build your website as you go! 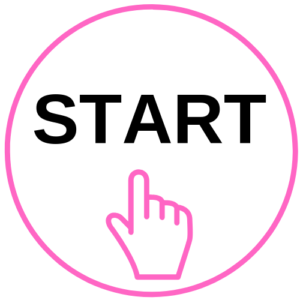 Getting Started (Level 1) is what’s included with your FREE account. Here are the lessons included in this level. The task list shows up like this so you always know where you are in the training, and you always know what tasks you still have left to complete. This is how you become a successful affiliate marketer. You follow the training! You follow the easy step-by-step tasks as they’re shown to you. Wealthy Affiliate has the most simple website builder ever. In fact, this site that you’re on right now? It took me just seconds to have it live. It just takes a push of a button! Let me take you through the steps of how this works. Choose a domain name. You can choose a FREE domain right through Wealthy Affiliate. Name your site. After you pick a domain, you will give your site a title. Don’t worry. This isn’t set in stone and can be changed later. Choose a theme. There are thousands of themes to choose from! It can be overwhelming, but pick one that you like and try it out. If you don’t like it, you can always change it later! Click the button to build your site. All you have to do is click the button and your site will be up and live in SECONDS. Isn’t this easy? Ready to give it a try right now? Instead of using a free domain, you can purchase your own domain right through Wealthy Affiliate! Domain purchases include SSL certificates and private registration. These are perks that usually cost extra at other registrars. Hosting at Wealthy Affiliate is also included. You can host 2 websites as a Starter Member and 25 as a Premium Member. You can choose to purchase your domain elsewhere, and you can also choose a different host, if you like. (Just know that using services outside of Wealthy Affiliate will be an additional cost.) They are flexible and will work with YOUR needs. Also, if you choose the free website option, know that you can easily transfer your site to a paid domain at any time once you become Premium. It’s all done with just a few clicks of a button! In addition to the Online Certification course, there are a variety of other courses and trainings offered at Wealthy Affiliate for Premium Members. Affiliate Bootcamp. Teaches you how to fully utilize Wealthy Affiliate’s own affiliate program. Classrooms. A variety of trainings brought to you by the members of Wealthy Affiliate. Weekly Live Trainings. Every Friday night, there’s a weekly live training hosted by a top member of Wealthy Affiliate. These are available to view at any time. I have personally used all of these types of trainings and each one has taught me incredible things. In fact, there’s always something new to learn. I never stop learning at Wealthy Affiliate! At Wealthy Affiliate, you are NEVER alone. There are thousands and thousands of people in our community always willing to lend a hand, answer a question or just simply have a chat with! You can always find my profile (I’m cld111) and send me a message there. Or you can send me a private message. There’s also the Help Center where you can put in a ticket for a technical issue, or Live Chat which always has helpful people available to help answer questions. You can also “Ask a Question” to the community members. You’ll be alerted by email when you get answers! You can blog to the community about your affiliate marketing journey. We love success stories! At Wealthy Affiliate, there are many ways that they make sure your websites are top-notch. We already discussed training, but here are some other tools you will have access to as a Premium Member. Site Manager. This is where you can see the health of your websites you have hosted at Wealthy Affiliate. Site Content. This is a writing platform where you can set goals, see your word count and make or use ready-made templates. Site Feedback. You can request feedback from members on your site so that you can really improve. Jaaxy Keyword Tool. This is the best keyword tool around. 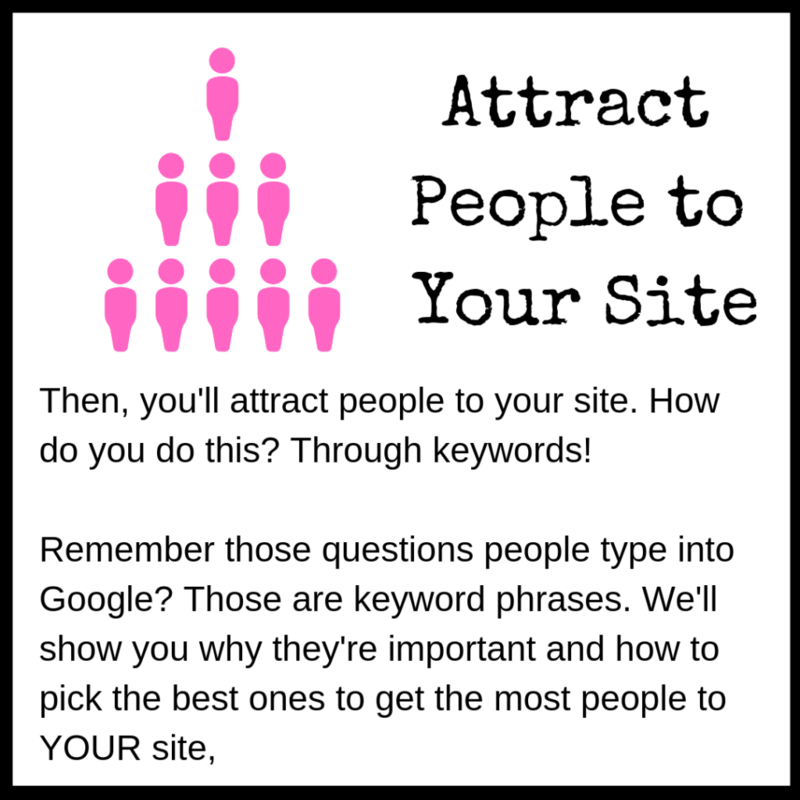 Find those magic keywords that will bring people to your site. As you can see, you really do get EVERYTHING you need to start a successful affiliate marketing website. The best part is that once you go Premium, it’s ALL included. There are no up sells. It’s all already there for you. There are just two membership options at Wealthy Affiliate. You can choose a Free Starter Membership, or a Premium Membership. 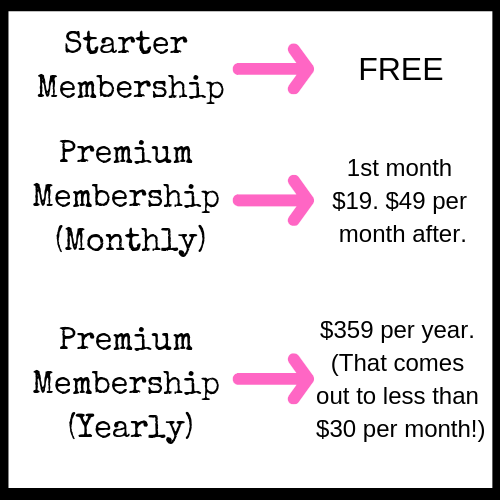 If you never want to switch to a Premium Membership, that’s totally up to you. I always recommend starting with the Free Membership because you can see if you like Wealthy Affiliate and affiliate marketing before you invest any money into it. There’s just 2 important (but easy!) things you need to do when you start your free account. Upload a profile picture. It doesn’t even have to be of yourself, but we’d love to see your face! Enter a profile description. We’d like to get to know you better! People who do these two things are MORE likely to succeed than those that don’t. Why? Because members can get to know you better. And it shows that you’re engaged and ready to do this! I’m sure I’m missing some things. The point is, with a Premium Membership, you get it ALL. As mentioned, there aren’t any other up sells. I know a lot of internet marketers do that. They give you a little bit for a certain amount of money. Then they try to give you a little more for more money. And a little more for even more money. Nu uh. Not here. You get everything you need with one membership and one price. Period. Wondering If You’re Ready for Premium? Premium Memberships are for those who are really serious about being successful in affiliate marketing. If you’re not sure yet, then the Starter Membership is a great place to explore and see if it’s right for you. If you’re serious about this business, then I would absolutely recommend the premium membership. You will have access to everything you need to hit the ground running. And I would recommend giving yourself at least one year of consistent work to make this work. (I’ll talk a little bit below about costs and how you can save with a yearly membership.) That doesn’t mean you need to do this full time. Many, many people work on this on the side as they continue with their jobs. That’s totally fine. Just be consistent. As mentioned, the Free Starter Membership is, well, FREE! It’s free for as long as you want it. And Wealthy Affiliate doesn’t even take your credit card so you don’t have to worry about charges sneaking up on you. A Premium Membership is $49 / month. But I can get you a 59% discount on your first month. You’ll only pay $19! This will really give you a chance to explore all Wealthy Affiliate has to offer. Just click the button below to sign up, and I’ll send you all the details in the next day or two. Now, if you’re really serious about this business and want to give it at least a full year, you can save even more by choosing to pay yearly instead of monthly. (This is what I do and I definitely recommend it. But either choice is great. It’s up to you!) You pay $359 for the whole year. That’s less than $30 / month! Remember, included in this price is hosting. Hosting elsewhere can cost up to $20 / month! But don’t even worry about that now. Start with the Free Membership and see what you think first. Start Creating Your New Future – NOW! There’s something to be said for those who make decisions quickly and act on them right away. It shows that you’re someone who’s willing to try something out to better your future. When you act quickly, you get the momentum going and you keep doing and doing until you create your success. The things you put off are the things that start to fade in the back of your mind. Obviously, it’s totally your choice whether you start right now or not. I’m not here to force you to do anything you don’t want to do. But I am here to push you our of your comfort zone a bit. Does all of this seem strange and a little scary? That’s kind of a good thing! When you tackle new, scary things, you grow. You learn. You achieve. You accomplish. And you’ll also see that there’s nothing scary about any of it. In fact, I think you’ll have a lot of fun with this! 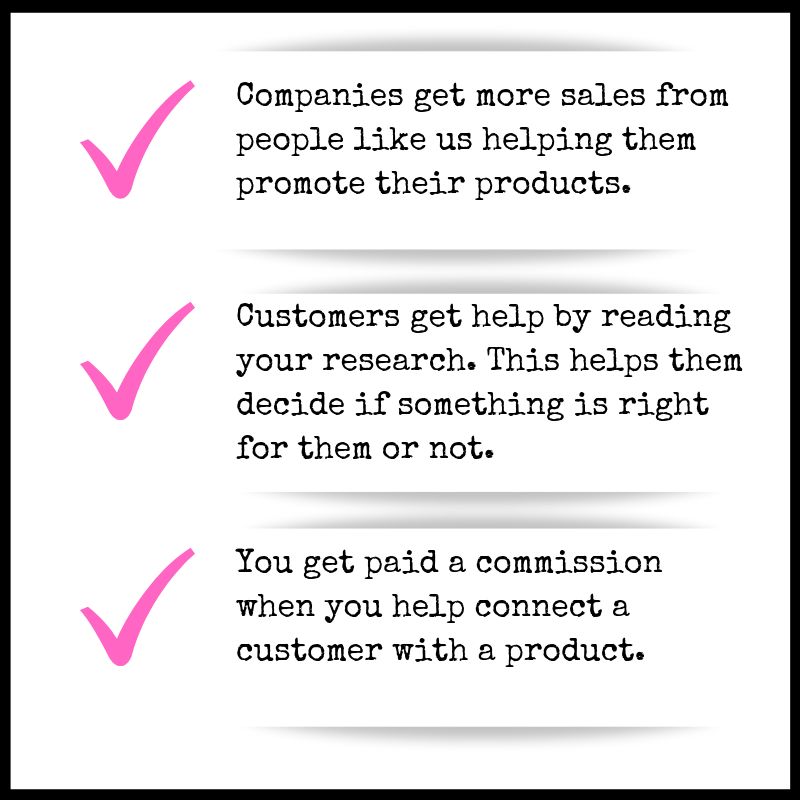 If you’re at all interested in affiliate marketing, then here’s what I want you to do. Click the button below to get your free account started. You know what, I’m sure there are some other good courses out there. But to me, Wealthy Affiliate is the one I trust. I have been with them (on and off) for several years, and the guys who run the whole thing – Kyle and Carson – seem to genuinely care about the needs of their customers. They started this platform in 2005. It started as a keyword list service and has grown from there to what it is today. They are constantly improving the site, making updates and making it easier for YOU (and me) to make money online. So to me, I wouldn’t want to go any other place. I have learned more from this website than I have in all my years of college. It’s worth Every. Single. Cent. And the training works. Let me show you a few of the many success stories that have come out of Wealthy Affiliate. Success story 1: Member Boyka hit a goal of making $2,000 in a month. Success story 2: Member littlemama is at almost $5k per month. Success story 3: Member BrokFTJFH sold $4k in a month. There are many, many success stories at Wealthy Affiliate. I just wanted to give you a taste so that you can see that this training WORKS. As you can see with these stories, I’m not trying to tell you that you’ll be a millionaire in the next 30 days. These stories are not unrealistic. They’re stories that ANYONE can have. Couldn’t you use an extra $1000 or $2000 or $5000 a month? What could you do with that? Wouldn’t it be worth putting in some time and effort? When you sign up as a member of Wealthy Affiliate, you will have direct access to me! I’m on Wealthy Affiliate quite often, so feel free to contact me at any time and I’ll get back to you as soon as possible! I can help guide you with any questions or concerns you might have. When you click on any of the links in this guide to sign up, we’ll already be linked together on Wealthy Affiliate. You can also reach me on my personal profile page, or you can Private Message me when you become a Premium Member. I’ll also send you a welcome message when you sign up. Look for it! It’ll be from cld111. (That’s me!) I’ll help you any way I can because success is more fun with others.